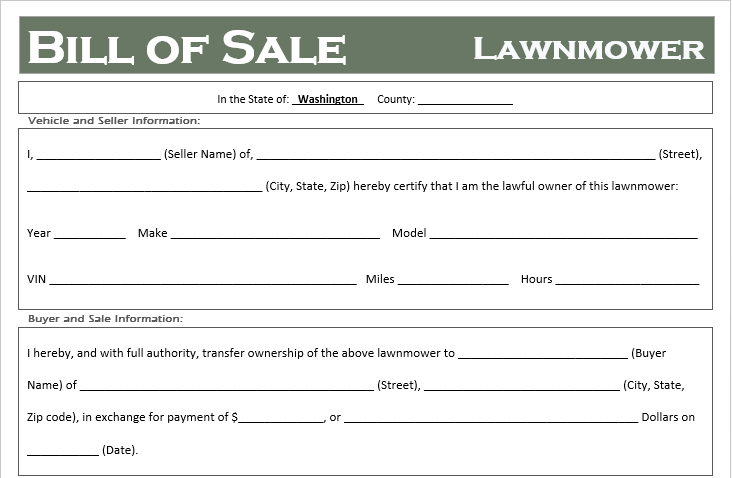 When buying or selling a Lawnmower in Washington you always want to document the transfer of vehicle from the seller to the buyer. With the purchase of an automobile, there is usually a title that is transfered and registered with the state but that’s not the case with riding or push mowers. That is why we suggest securing a valid Washington bill of sale to properly document the sale including the sales price, condition of the lawnmower, and hold harmless language to protect the buyer and seller.